Oracle Analytics Cloud (OAC), the latest Cloud offering from Oracle, is now “live” and available for customer use. OAC bundles the existing Data Visualization (DV) and Business Intelligence Cloud Service (BICS) with the entirely new Essbase Cloud. This post will focus on the features of that new product, and what it offers to both existing and new Essbase users. User - users can read from / write to existing cubes as allowed by power users or the service administrator. The most significant change here is that there is now a non-administrative role (Power User) that is able to create new applications, but is not permitted to, for example, delete or change existing applications. This is a necessary change because, while Essbase Cloud will happily run existing “IT-built” applications just like an on-premises server, it also provides two new methods for building applications. These are specifically designed to put control back into the hands of end-user analysts. A user can upload this spreadsheet; Essbase performs analysis on it, and both a) builds a new cube and b) loads data from it. Even better is that, because Essbase will by default use Hybrid BSO mode when it creates the new cube, the cube is created already aggregated and ready for the user to start querying direct from Smart View immediately. 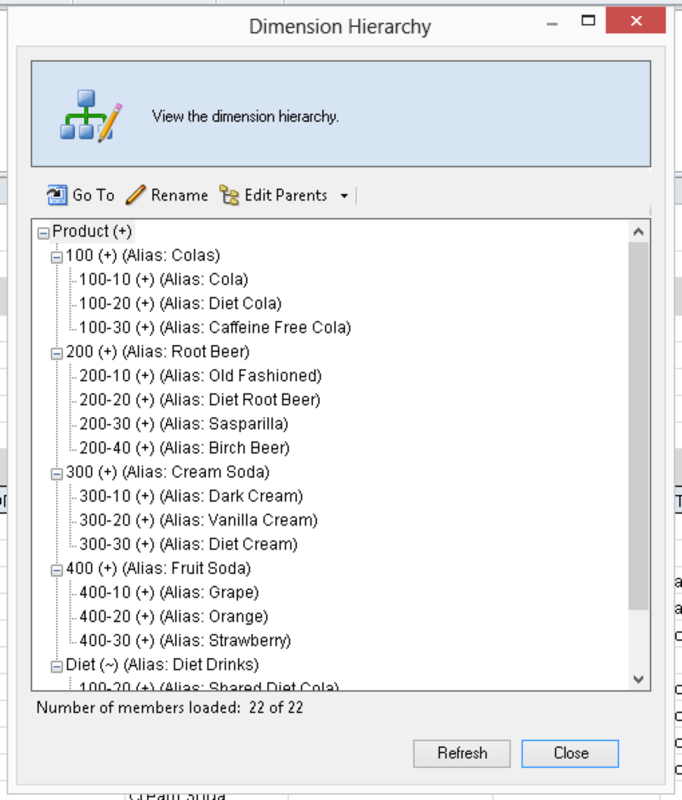 This method is designed to allow users to build and share cubes very quickly from existing spreadsheet sources, without first having to understand Essbase technical concepts or tools. The use of Excel to build cubes is not, strictly, a new feature - it was available in Essbase in the mid-1990s. 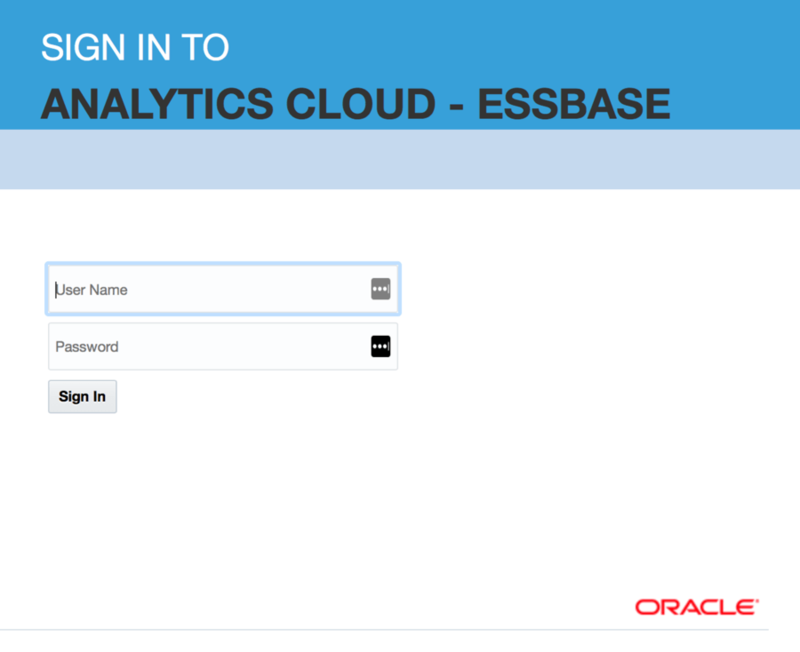 With Essbase Cloud Oracle are re-empowering power user / analysts to develop and modify cubes, with appropriate security and controls to ensure that these applications don’t affect “production” applications running on the same server. This will open up some interesting possibilities, especially coupled with the bundled Data Visualization tools. 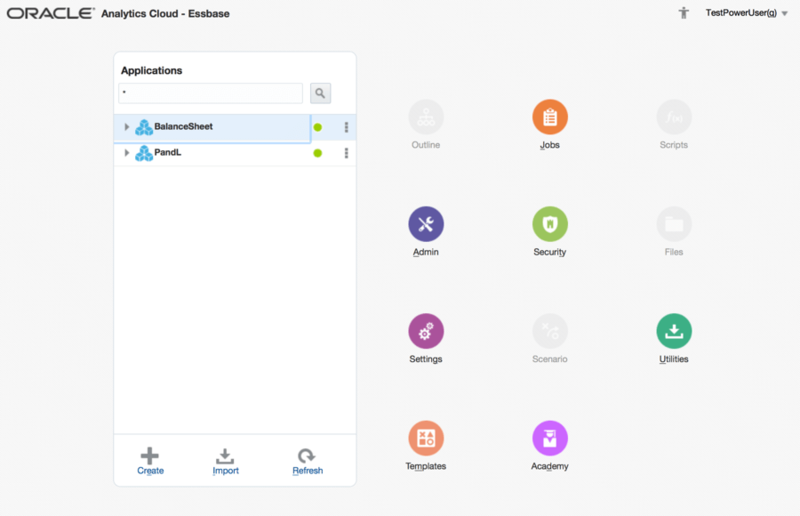 In line with the Oracle model that cloud applications get new features first, there are some new features in Essbase Cloud that are particularly noteworthy. In particular, we have “Scenario Management”, which provides sandboxing (with potentially hundreds of working version) and some simple approvals processes for merging working versions into “live”. A very large number of scenarios can be supported because this feature is implemented in such a way that only changed data (i.e. the “deltas”) are stored, rather than the classic Hyperion Planning approach of taking a full copy of the entire dataset as a starting point. Additionally, Smart View allows users to run calculation scripts with member prompts; e.g. a script can be run with a user-selectable “fix” on a specific scenario and version. These two features together suggest that Essbase Cloud could be used to create some powerful “Planning-Style” applications, without any of the normal PBCS limitations (and, of course, without some of the useful PBCS features - there is a trade-off!). Oracle provide a "DBX" (data export) command line tool - this takes an existing on-premises database and automatically generates a formatted Excel file which can then be uploaded to Essbase cloud using the web interface or the Cube Designer plugin. The Java API is supported by Essbase cloud, and a REST API with a command-line interface is provided that allows file transfer, dimension builds, data loads and calculations to be automated. Other automation (such as full MaxL scripting) is not currently supported (we would hope to see this functionality added shortly). Security will also have to be “refactored” between existing on-premises installations, especially if it relies upon on-premises roles that do not have a direct equivalent in Essbase Cloud. TIf you currently run on-premises Essbase, or know about the power of Essbase but are deterred by the infrastructure / installation complexity, you need to know what Essbase Cloud now offers. Qubix are happy to help you understand the potential benefits in the context of your business challenges. Contact us to arrange a demonstration.